A premium softest as a buttery-soft, the Bamboosa fitted sheet will remove moisture away from your skin. 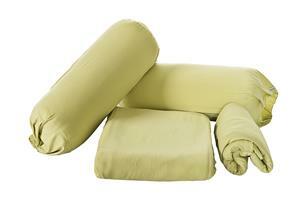 Thermal regulating and odor resistant fabric for cozy, comfy sweet dreams sleep. Rest assured when you put your tired body one down to sleep. We manufacture and finish our fabrics here in the USA. Try pillow case! FREE Shipping on orders over $99.00+ FREE 365 Day Returns and Exchanges in the U.S.